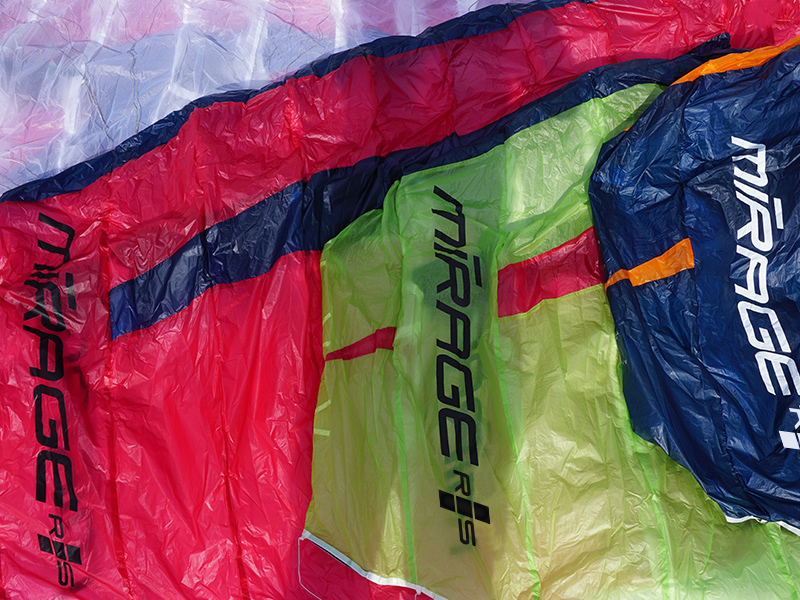 In recent years the Mirage RS has proved to be a safe all-round glider for speed flying and speed riding. 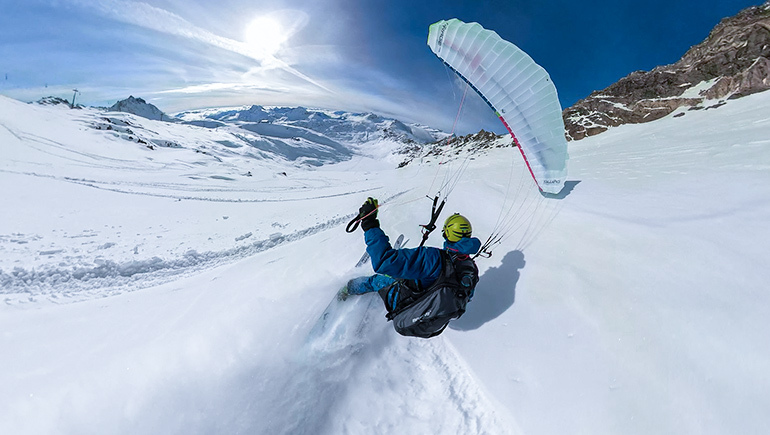 Many top pilots in the paragliding scene (including the Soul Flyers, Valentin Deluc and many of the world’s other best pilots) have confidence in its forgiving flight behaviour in conjunction with its broad performance spectrum. With the Mirage RS Plus, we are introducing a reworked version of this classic glider. 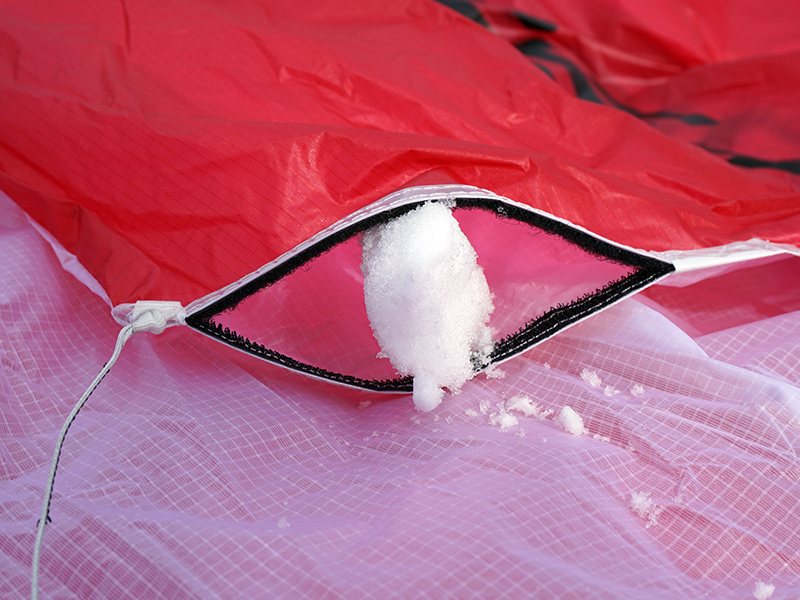 The tried and tested basic concept remains unchanged, but the canopy has been upgraded with a new, very lightweight 15dtex fabric. 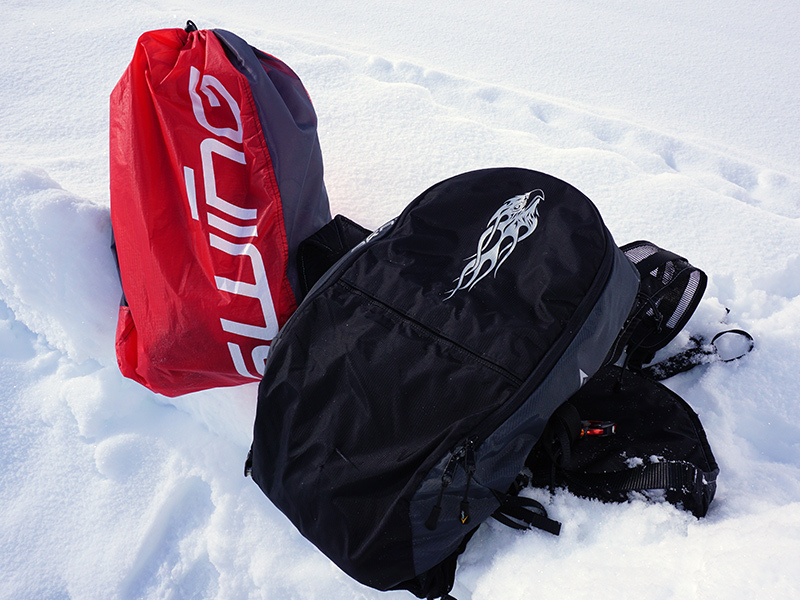 This gives pilots a weight advantage and means a smaller pack size and even more uncomplicated launch behaviour compared to the previous model. There have also been improvements to the riser used in the Mirage RS Plus. The optimised trimmer system allows even more precise adjustments to the angle of attack, with a deflector on the B level. 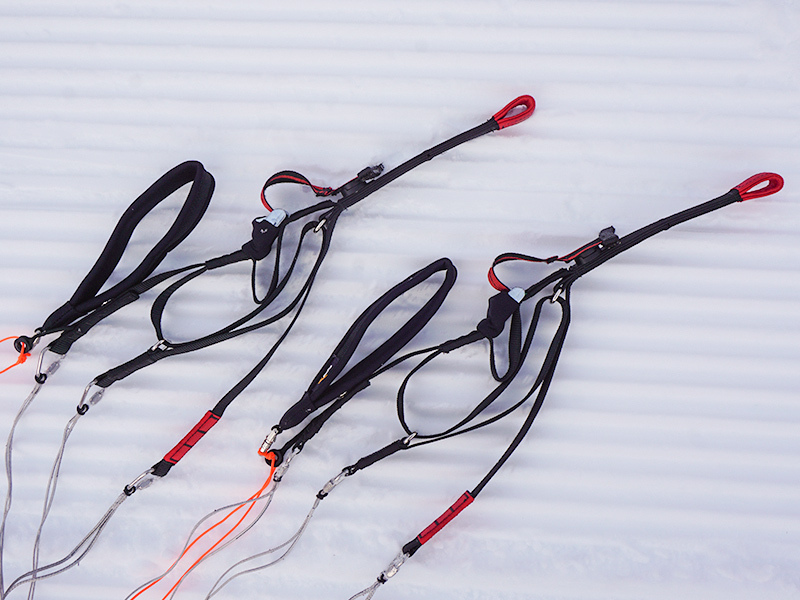 The reworked riser geometry makes the Mirage RS Plus even easier to handle and ensures an intuitive connection to the canopy. In addition to other design details, we have optimised trimmer operation. 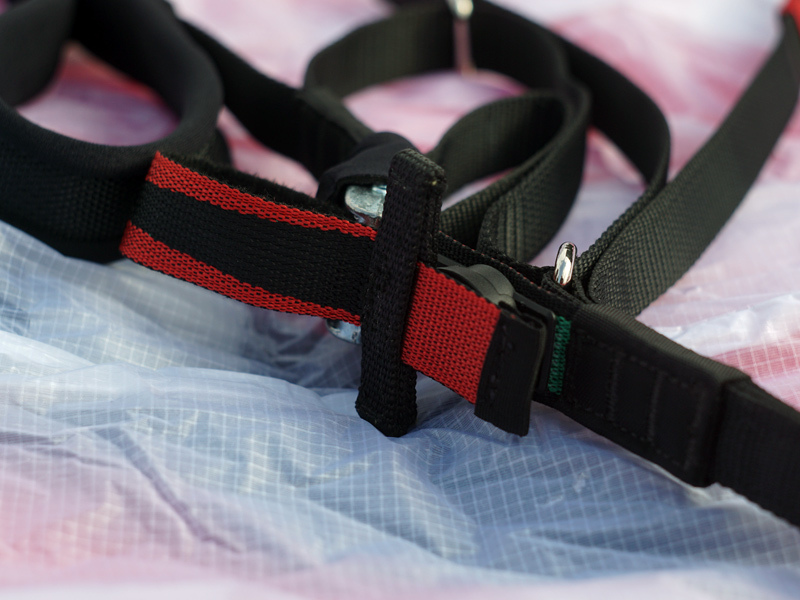 A T-handle at the free end of the trimmer strap replaces the previous loop, to allow fast and safe operation, even with thick gloves. Sizes 13 and 15 are the most suitable for novices and training. The trimmer travel is ideal for speed flying novices. 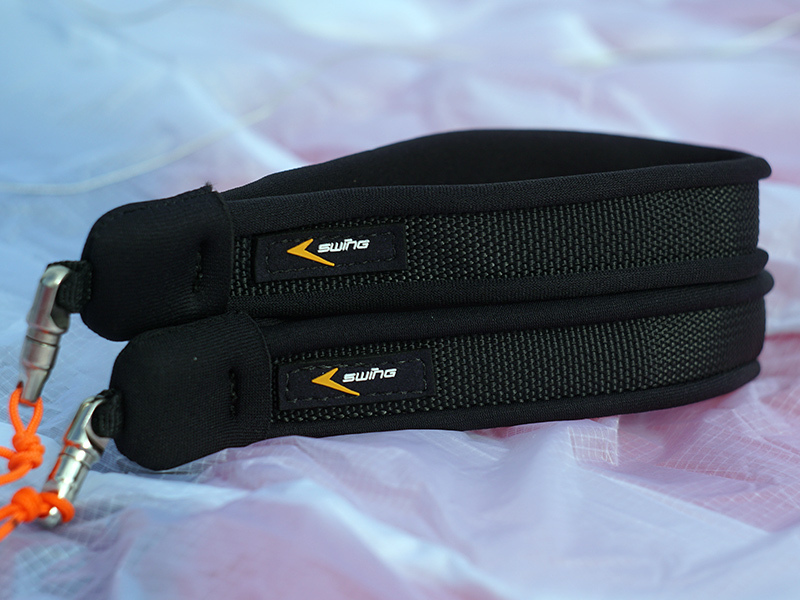 The dampened handling in these sizes is very forgiving and is a great help during the learning curve. 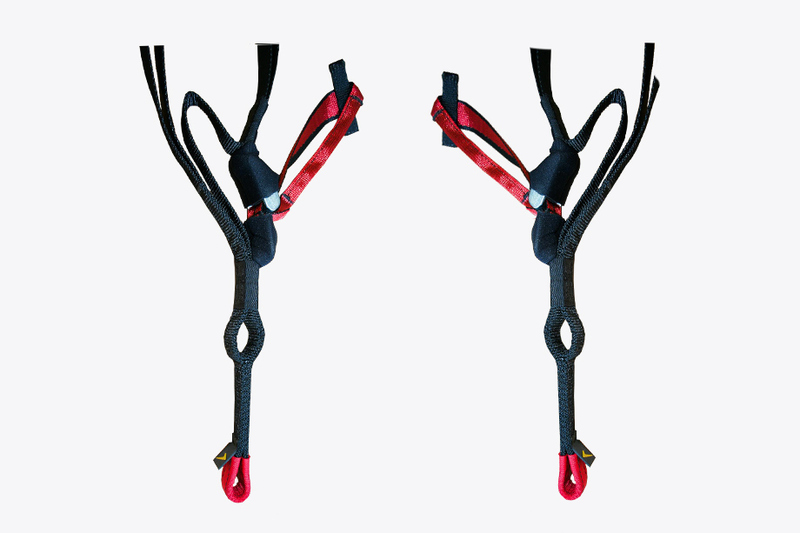 In addition, these sizes are also ideally suited for soaring in strong winds or ground-handling, or for those needing a rapid descent method for hike & fly. With the extended load test and riser with two hangpoint heights, the Mirage RS Plus 17 Twin is ideally suited for safe tandem flights and also for heavier speed flying / speed riding novices.